This AMT/Ertl model is 18 inches long and is in 1/1000 scale. This model can be built, painted and/or fully lit to look exactly as it did in the Star Trek movies and TV shows. Note: The Excelsior and sister vessels, are considered Excelsior Class I ships. 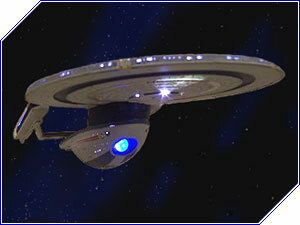 The Enterprise-B, as seen in 'Star Trek: Generations', is considered an Excelsior Class II ship. This model is available in both Excelsior Class I and II configurations.